Hino has hit a six month milestone of running three prototype all-electric Hino 300 series trucks in two Japanese transport company’s fleets. Hino Australia Product Planning Manager Daniel Petrovski says that despite looking identical to other 300 series trucks on the outside, "the entire architect of the truck is different – it has a lithium ion battery that powers an efficient electric motor which actually drives the front wheels." The electric Hino 300 is front wheel drive, and does not require either a traditional clutch or gearbox. Petrovski says that there are benefits to this unusual configuration. "The batteries sit inside the frame between the axles, where the driveshaft and fuel tank would traditionally reside," he says. Because the drivetrain is located at the front of the truck with the battery mounted low in the chassis, the truck body can have a very low floor, "some 42 centimetres lower than a traditional truck," says Petrovski. 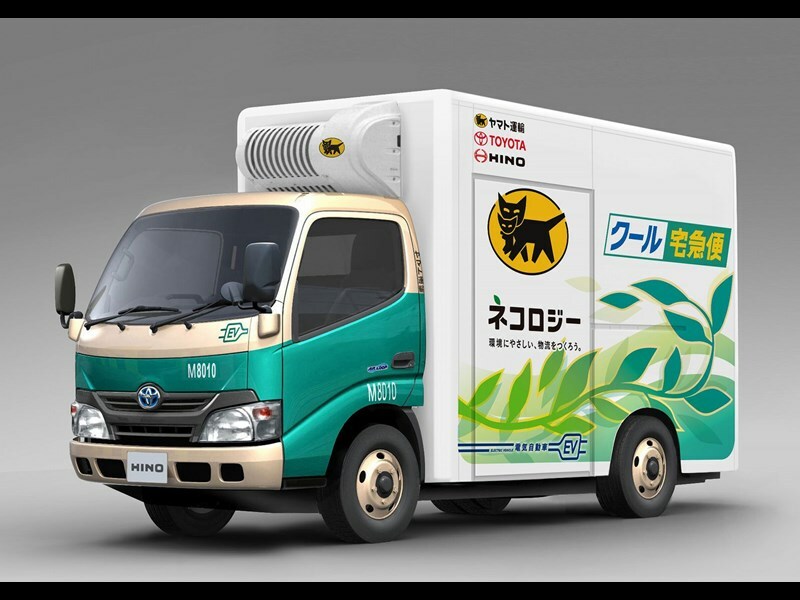 In addition to this, the electric truck doesn’t require oils, emits no pollution directly and makes a fraction of the noise of a regular truck, according to a Hino media release. "Since 1993, Hino has had an environmental charter that pushes for continuous improvement of efficiency in transportation, construction, recycling and product. We believe the 300 Series electric prototype is a significant leap forward in that regard," says Petrovski. Find Hino 300 trucks for sale. Search for new Hino 300 specs.